Lee Printers is a family-owned, full service printer dedicated to providing quality printing services for over 100 years. At Lee Printers we provide quality printing through the use of advanced technology guided by the experienced hands of skilled craftsmen. Full Service means we are dedicated to providing a complete range of products and services. We do this through an extensive investment in technology and many years of experience in producing custom printed products. Our plant is one of the best equipped in the Greater Cincinnati area, we pride ourselves on our flexibility and ingenuity in satisfying your needs. Our customer service is targeted towards assisting you in making the best choices. Making proper choices are important when planning your project. The selection of papers, sizes, ink colors, bindings, etc. can have an important impact on the price and quality of your job and ultimately upon your satisfaction. Our associates know ways to save money without sacrificing quality, but the final decisions still lie with you. 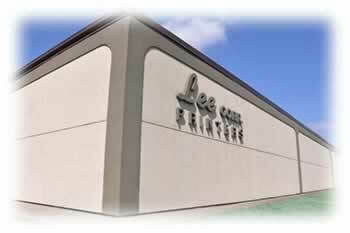 Lee Printers has been owned and operated by the Krieg Family for nearly 50 years. The family is dedicated to treating all of our customers, suppliers and associates as an extension of our family. Our personal involvement assures you of attention to detail and taking the extra steps needed to do your job right - the first time.